The flora and the scenery on this walk are spectacular. It is just about my favourite spring walk and I am always delighted by the chance to see some rare coastal heath in flower. There are magnificant views so dont forget camera &/or binoculars. Bring rain, wind and sun protection as well as lunch, snacks and a minimum 1 litre of water. 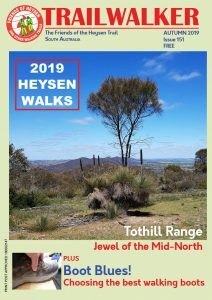 This walk is about 13km but it is relatively flat and easy and it will include a morning tea stop and a lunch stop. Start time 9am sharp, finish approx 1.30pm. It is an 1hr 40 minutes drive from Adelaide.